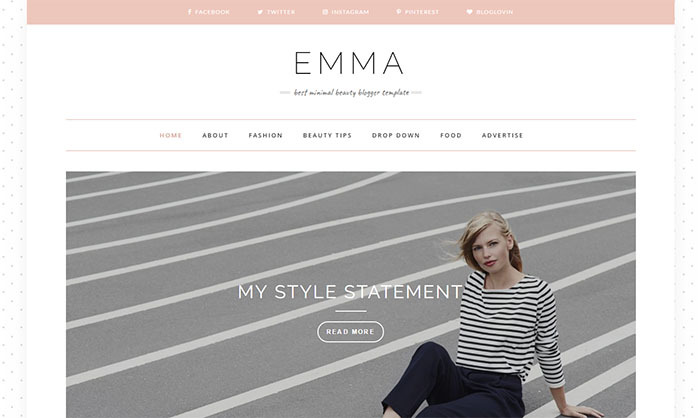 Emma Blogger Template is a new and stylish blog them that allows you to tell your story in creative and stylish way. Emma include all popular features that will help you in your storytelling. Also have customizing Options. You can easily change fonts, colors, layouts and more. If you’re looking for personal, story, fashion or personal blog then this is one of the best theme for your blog because it comes with very simple and elegant design and will load your blog content within just few seconds. You can easily setup one professional theme by using this template.